Intermarket Correlations Update: Oil Slipping Away? Are intermarket correlations still holding up these days? Take a look at these charts to see how some alliances are starting to break. For the newbie traders out there, don’t forget to review our School lesson on forex correlations before reading on! Since crude oil is positively correlated to the Loonie because of Canada’s dependence on its energy sector, USD/CAD must have a negative correlation to the commodity. In other words, USD/CAD typically climbs when crude oil prices fall and vice versa. This behavior was observed during the first few weeks of the month when USD/CAD was selling off while crude oil was rising. However, this negative correlation started to break down mid-month as the currency pair and the commodity started moving in tandem. 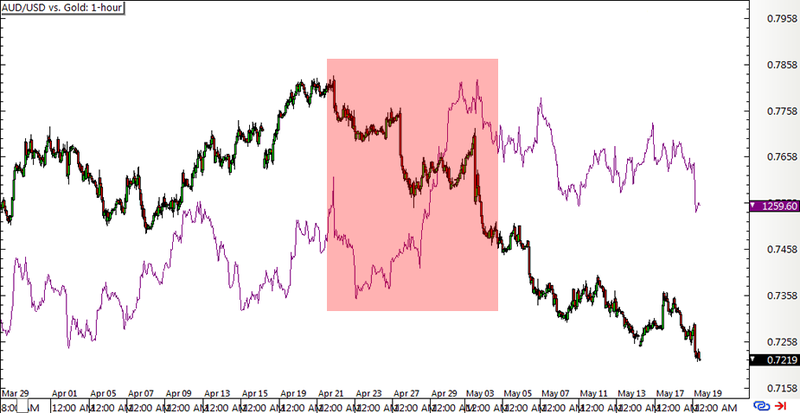 As you can see from the portion highlighted in red, both USD/CAD and crude oil were climbing then! The positive correlation between the Australian dollar and gold was also challenged recently, as the precious metal made a strong surge towards the end of April while AUD/USD seemed unstoppable in its decline. Right around that time, Aussie traders probably got a whiff of an incoming RBA interest rate cut, which was probably why AUD/USD temporarily broke its alliance with gold. 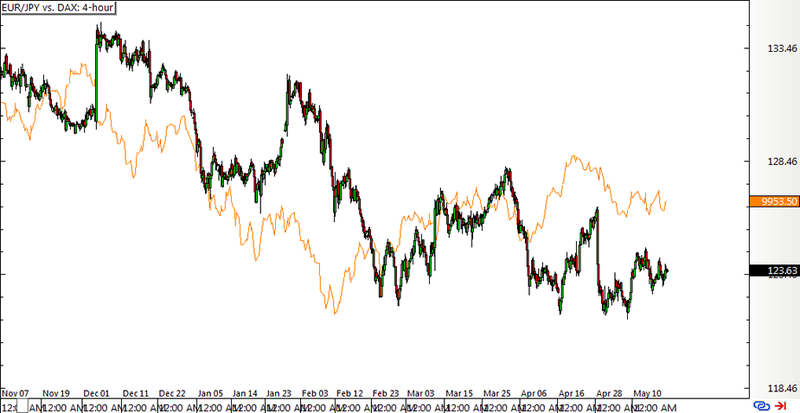 Lastly, here’s a look at the price action of EUR/JPY and the German DAX stock index. As discussed in our School lesson on trading equities with forex, EUR/JPY seems to be highly correlated with stock indices across the globe. This is still particularly evident in the pair’s price action late last year and early this year, although there also seems to be a bit of a decoupling from the longer-term trend right around mid-March to April. 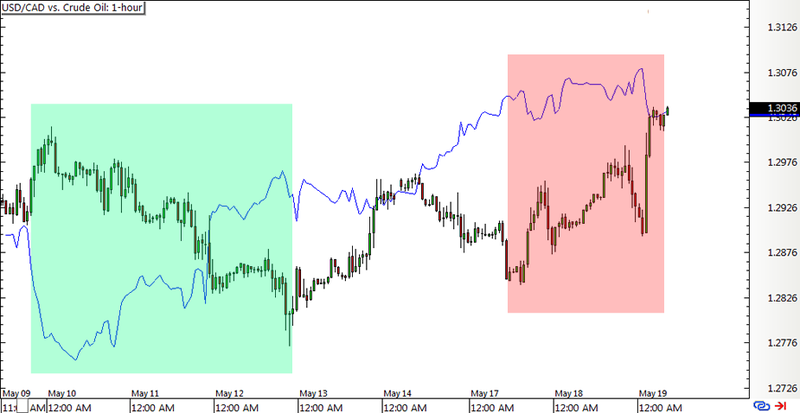 Think these forex correlations could keep holding up or are we about to see new patterns moving forward? Don’t be shy to share your thoughts on where these commodities or pairs might be headed!